When you put together Viking stories and a breakthrough in wireless communication, you get Bluetooth technology, which you carry with you every day. Why is it called “Bluetooth” and why does it have a strange-looking logo? That’s the story. When Jim Kardach was asked to develop wireless technology for laptop computers at Intel, he was reading The Long Ships (1941-1945), a historical adventure novel about Vikings that features King Harald Bluetooth, the king who ruled over all tribes in Denmark from the year 958 and then managed to conquer parts of Norway, making all the different tribes communicate and unite. As Jim Kardach developed the technology and managed to enable different kinds of devices to communicate wirelessly, he called it Bluetooth, because the technology and King Bluetooth had the same purpose — unity and communication among different groups. Now why was Harald called Bluetooth? It’s not really clear. The Danish word that means “blue” today also meant “dark” in the past, so King Harald was perhaps “Dark” something. He either had really bad teeth that earned him the nickname “Dark Tooth,” or the nickname is a mistake in translation from the words meaning “Dark Chief,” or there really was something blue about him. 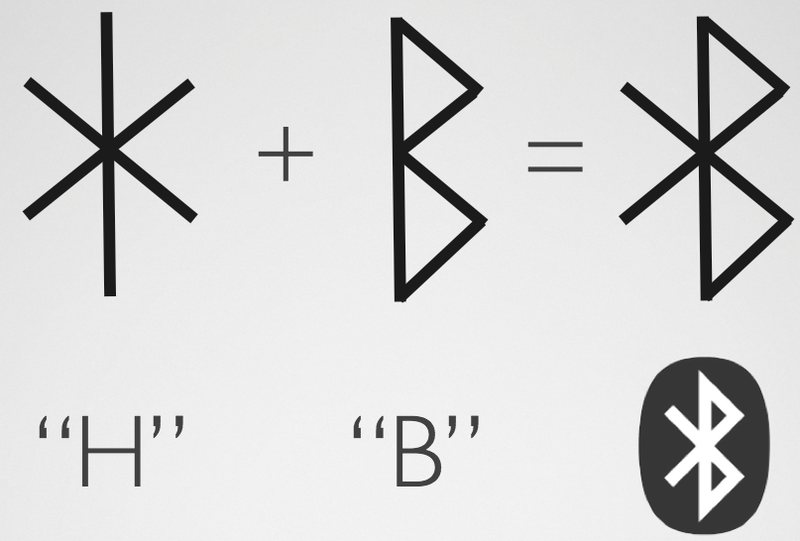 In any case, he is known as Bluetooth and you have his initials written in runes on your computer, smartphone or tablet. Just find the Bluetooth settings, switch it on and you’ll see those ancient letters pop up in the menu bar at the top of your screen.